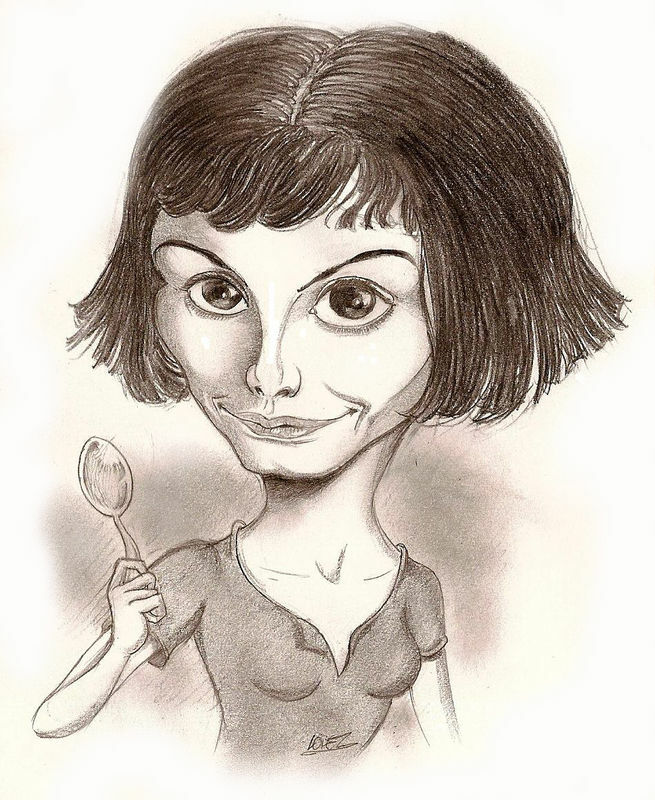 The point in caricature is recognizing famous faces, so don't worry, I won't only caricature historical figures, but also contemporary celebrities. Today, an organic product issued from the film industry, a little french actress becoming more and more well-known. Audrey Tatou has not suffered a lot under my pen ( I could resolve myself to make this pretty face look ugly ). The spoon is obviously a reference of the character of Amélie that revealed her to the cinema ( ya, she's not only a descendant of Jesus or a fashion designer who has given her name for a perfume ).